Did you know that every time you cook, millions of grease particles are released into your home? Research suggests that tiny microscopic particles of grease can float in the air for days and adhere to almost any surface in the home through a process known as thermal plating. Once these particles find a dwelling place they can feed mold and bacteria serving as the breeding ground for a host of tiny unwanted and unhealthy guests. This is the scenario in millions of homes-possibly yours, unless you have proper ventilation over your kitchen cooking surface. 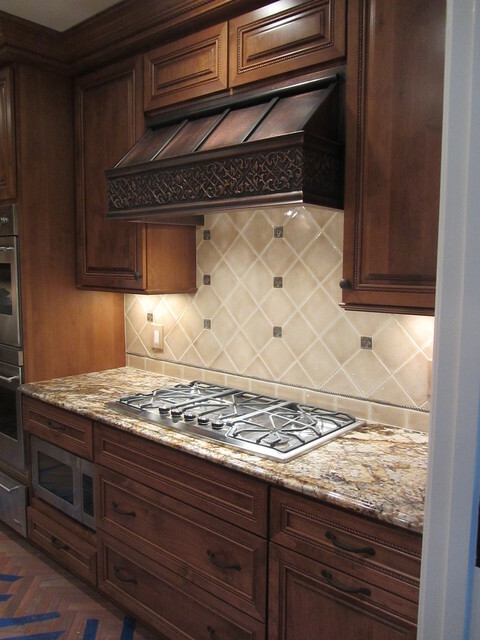 But how do you know the right size range hood to select for your specific needs and lifestyle? And how much power do you need? The trend in today’s modern kitchen cooking appliances is toward larger commercial style cooking units. Viking, Dacor and Wolf are the leading manufacturers of residential/commercial style cooking appliances, and all offer 60″ ranges capable of producing in excess of 120,000 Btu’s of heat. This is as much heat as the furnace generates in many smaller homes! These units quickly produce a bounty of smoke and grease when they are operating at full-force. On the other end of the spectrum, most of us cook with a typical four burner range. These throw off one-third the amount of heat as the commercial style monsters, but they still must be properly vented in order for your home to remain odor and germ free. No matter which type of cooking unit fits in to your kitchen plans, the essence is the same – it’s all about air flow. The bad news is there is no absolute formula for determining exactly how much air flow is the correct amount. The good news is that two different methods of calculation can be utilized allowing you as the homeowner to dial the number up or down based on how you live and cook. Common sense dictates that the more heat a unit produces, the more air flow will be required to rid the greater amount of resulting grease and smoke. Let’s call this the Common Sense Rule. That said, thefirst calculation method we will look at is based on cooking surface size and range hood location. If the hood is mounted on a wall behind the range (as most are), then you will use the 50 cfm per linear foot of cooking surface rule. This method dictates that for a typical 30″ four burner range, you should employ at a minimum a hood able to move 125 cfm’s of air. But remember the Common Sense Rule. If you do a lot of frying or wok cooking and therefore produce an increased level of grease and smoke, you will likely be disappointed with a 125 cfm unit – go bigger. To extend this method to kitchen island cooking, the 60 cfm per linear foot of cooking surface rule should be used. With the same 30″ four burner range operating in an island, the minimum cfm’s are bumped up to 150, and as always, the Common Sense Rule is applied. The second airflow calculation method commonly used in the industry is the 100:1 rule. This rule states that for every 100 Btu of heat a range generates, the hood blower should move 1cfm of air. 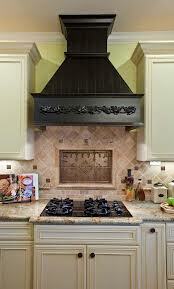 Let’s say you have a four burner range and each burner produces 12,000 Btu’s of heat. You should explore hoods with a minimum of 480 cfm blower rating, then applying the Common Sense Rule as needed. Don’t forget to boost the number for island cooking applications. By applying either of these two methods in combination with the Common Sense Rule you can be well on your way to ensuring that your home remains a clean, healthy and inviting place to be.